The birds are chirping and the days are longer, which can only mean one thing- Spring is in the air! 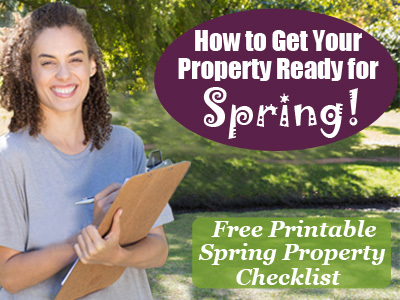 We’re all looking forward to enjoying time outside in the sunshine, and you may be eager to get your Lawn Care Program started ASAP. In fact, you may have already seen trucks for other lawn care companies out on properties this year. 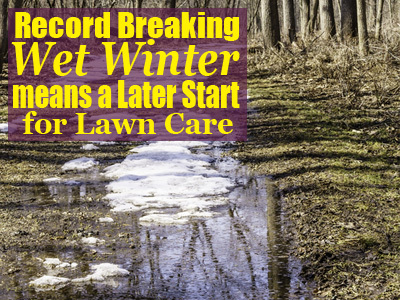 However, the Lawn Care Experts at Giroud Tree and Lawn have been carefully planning the official start of their season, and they’ve decided to start a little later than usual. Read on to find out why! Monday night in Philadelphia and the surrounding suburbs was a loud one as high winds whipped through the area at upwards of 40 mph! A homeowner in Huntingdon Valley called Giroud Tree and Lawn's Emergency line to request help with a situation on their property. A Pine and a Spruce had toppled to the ground, blocking the driveway and doing damage to their car. 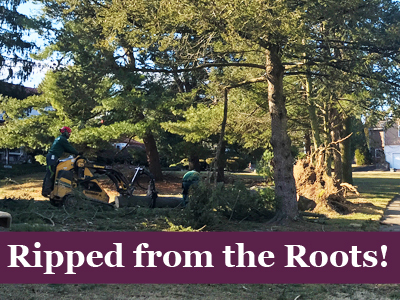 Giroud Vice President and ISA Certified Arborist, Drew Slousky, visited the property and found that one of the trees had completely uprooted! It was quite a disaster, and the homeowner was pretty shook up! However, Drew assured them he would have a crew onsite right away. 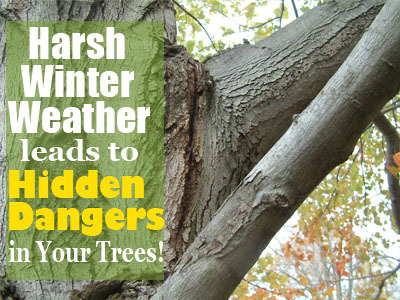 Harsh Winter Weather Leads to Hidden Dangers in Your Trees! Even if we have a winter with little snow accumulation, damage caused by the wild fluctuation in temperatures and high winds may have caused serious problems for your trees and shrubs. Unfortunately, many homeowners don’t see the early signs of these hidden dangers, and that can result in catastrophic issues later on. 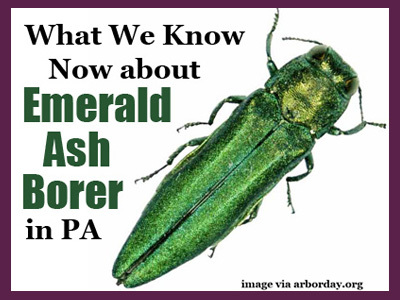 There are some warnings you can see ahead of time, while others require the trained eye of an ISA Certified Arborist. Last year was a record breaking winter for storm damaged properties. In the wake of all the destruction, many homeowners were left wondering: "What could I have done to prevent catastrophic storm damage?" 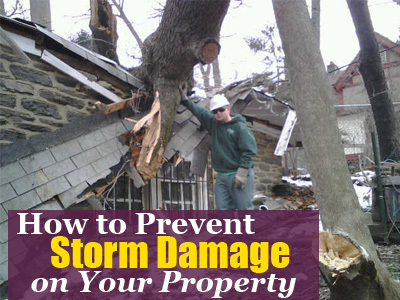 While it’s impossible to predict the next storm, there are actions you can take to greatly reduce your risk of tree damage. It's 7am on a frigid January morning. The Giroud Tree crew is gathered outside, clutching their cups of hot coffee and breathing out icy puffs of chilly winter air. It may seem like an inopportune time and place for a meeting, but the presentation they're watching can't wait for warmer weather. 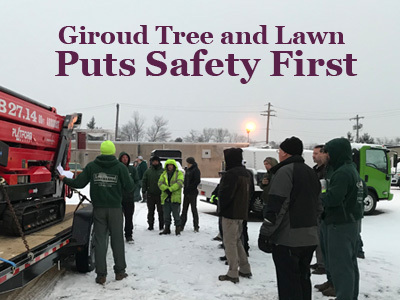 Giroud General Treework and Safety Manager, Doug Muth, along with Crew Leader and Equipment Advisor, Dan Rombold, are hosting an important information session about the newest addition to the fleet- an 89 foot Backyard Bucket. The holidays are a busy time of year, so it's easy to get distracted. 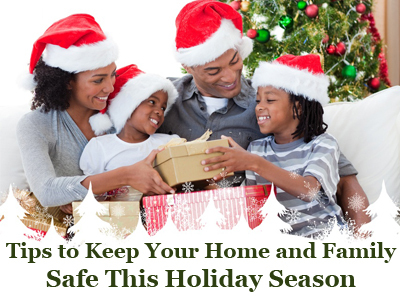 However, between all the shopping, baking and merriment, it's important to be aware of any issues that can result in big problems for your family and home. Not to worry! The experts at Giroud Tree and Lawn have your holiday safety checklist to keep everyone safe amidst all the celebrating! One of the most delightful traditions about the holidays is the Christmas Tree. 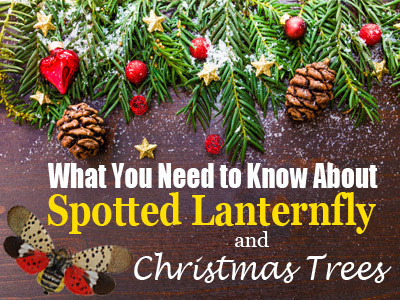 However, with the recent invasion of the Spotted Lanternfly, many Pennsylvanians are left wondering if they should be hesitant about bringing a possible tainted topiary into their home for the holidays! Is there a cause for concern, or can we celebrate Oh Tannenbaum without trepidation? 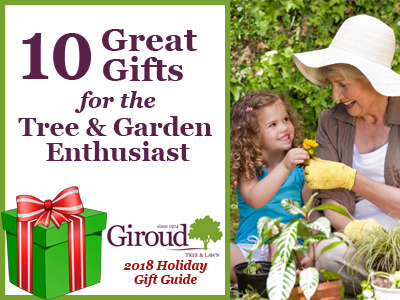 Read on to see what the experts at Giroud Tree and Lawn have to say. The holidays are upon us, and if you have a tree or garden enthusiast on your shopping list, we have you covered! Here are some great gift ideas they'll be sure to love!